Blues based Americana music with spiritual lyrics, soulful vocals and blazing guitar. “From the scorching guitar solo, as one is caught between the forces of good and evil, to the impeccable vocals of Steve Antry throughout this album; if one is not moved, then start searching for the answer why. The fond memories of a kid, to living in a far-from-perfect world, Antry reminds me of why God created man in the first place.” - Billy Austin Martin, Tulsa Blues Society. Antry’s earliest jobs was working as a track laborer for the Frisco railroad in Tulsa. He was underage, but claimed to be 18 to get hired. This turned out to be his defining “Woody Guthrie moment”, as he describes it. While driving steel with much older gentlemen, with nicknames like ‘“Stokes” and “Bones” (who actually played the spoons), Antry became entranced by the music that was sung out in the country while repairing old railroad track. Everyone would sing along to the rhythm of the maul hitting a spike. That was Antry’s first unwitting exposure to the Blues, in its purest form. Now a singer songwriter, he remembers the circuitous path that got him to this moment. He grew up accomplished in sports, from wrestling and mixed martial arts to ice hockey, while getting his hands dirty doing just about anything manual. Then, as fate would have it, an unlikely mentor crossed his path. In high school, when work, wrestling and the outdoors were occupying most of his free time, a buddy said to him “the girls in the church choir are pretty cute, we should go.” While attending his first rehearsal his voice caught the attention of the church Music Director, who happened to also be the Dean of Music at the University of Tulsa and Director of the Tulsa Opera. The director took him under his wing and became his music mentor, giving Antry free vocal training every Saturday for years. “I received more inspiration and life lessons from him than any sports coach I ever had,” says Antry of his inspirational classical voice teacher from whom he learned music theory and correct projection and breath control, while developing his three-octave range. Antry was offered a music scholarship from Dr. Sowell, but fate led him to a degree in finance, and a career building businesses and supporting a family. But he always sang, purely for the love of it, at weddings, memorial services and in Gospel choirs, which always brought back those railroad track gang memories of Stokes and Bones and the crazy rhythm of the spoons. “The Southern Gospel choirs are where I learned that presentation is as important as content. There was a lot of movement while singing, which was half the fun,” says Antry of those years. He discovered the harmonica (and guitar) as an adult, but found he had a natural aptitude for the Blues Harp. He advanced his skills in short order by applying his vocal training to this new obsession; and now travels with a Seydel pouch of Hohner Special 20s everywhere he goes. He regrets never attempting to master the spoons like old Bones. 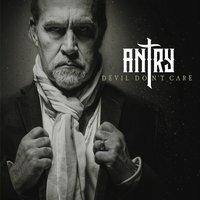 Antry had the opportunity to fulfill his musical dreams and begin a second life with fire and gusto, when he partnered with Peter Carson in 2015 to produce his debut solo album, “Devil Don’t Care,” in Nashville, diving head long into the process of recording and writing his own music for the first time.